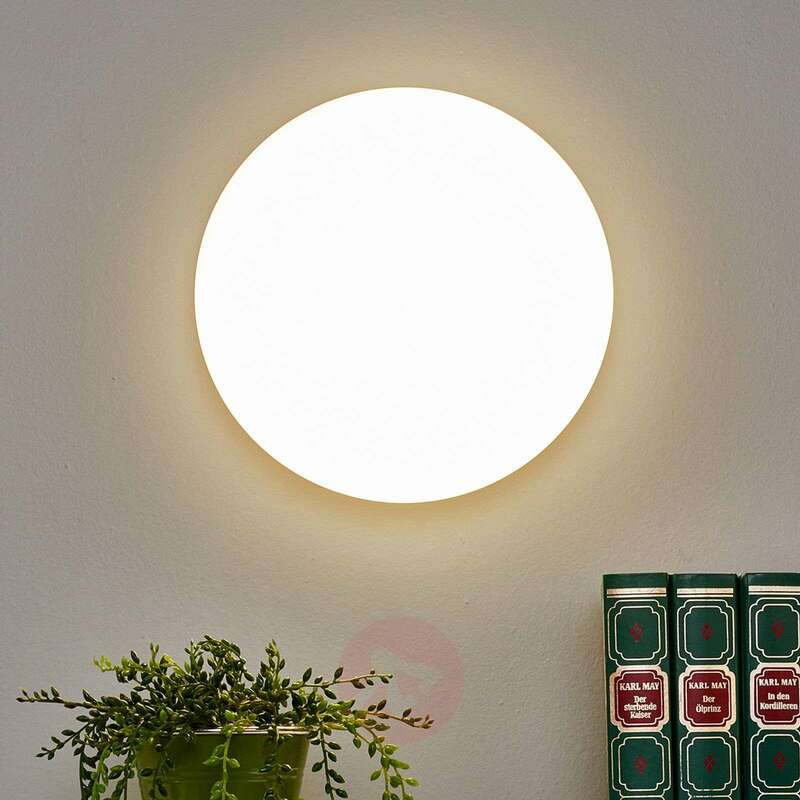 What makes the Sun 12 wall light so individual, and a classic at the same time, is the use of the high-quality LEDs. 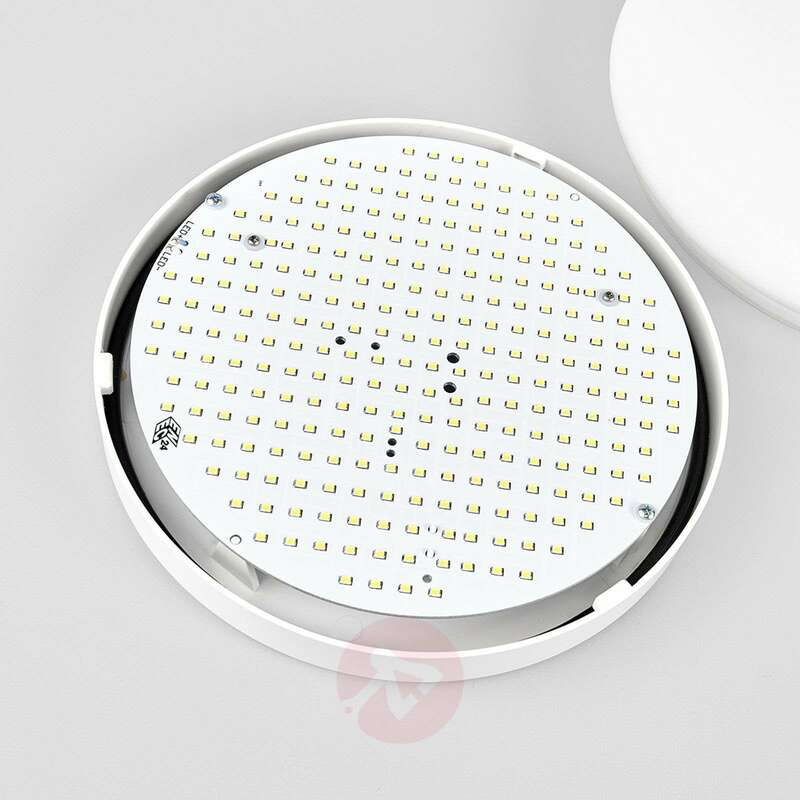 It comes with a choice of 8, 13 or 18 watts strength LEDs. There is also a choice of cool white (4,000 K) or warm white (3,000 K). 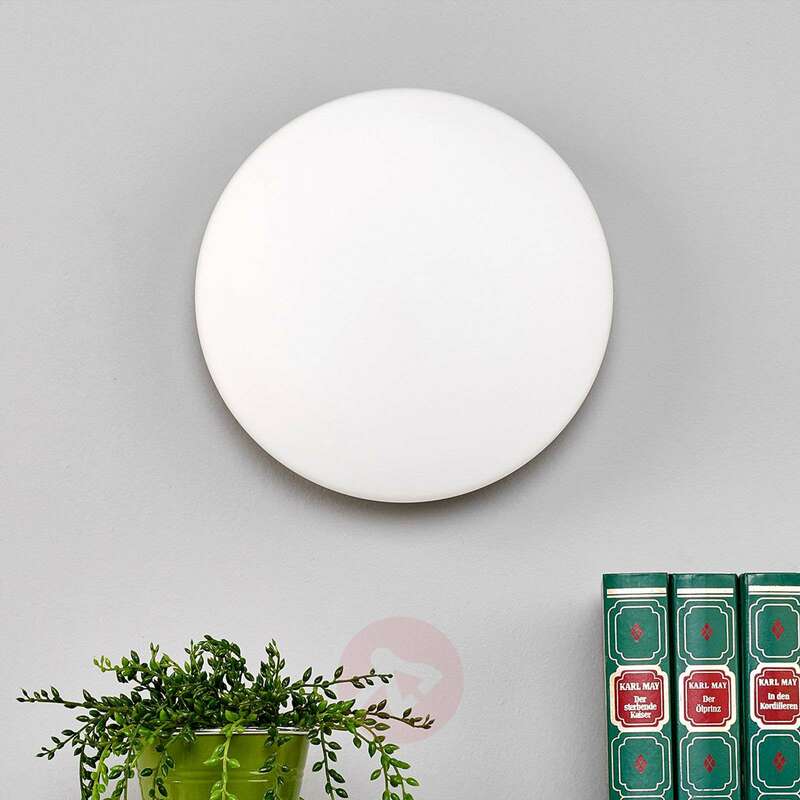 It reaches out wider than the wall mount, and with a diameter of 27 cm and a semi-circular face, it is a subtle, innovative enhancement to any living space. The special optics are emitted through the diffuser, which offers a wide distribution of light thanks to its dome shape. The glass that is used - satin-finished opal glass - is the most predominant feature of this wall light. 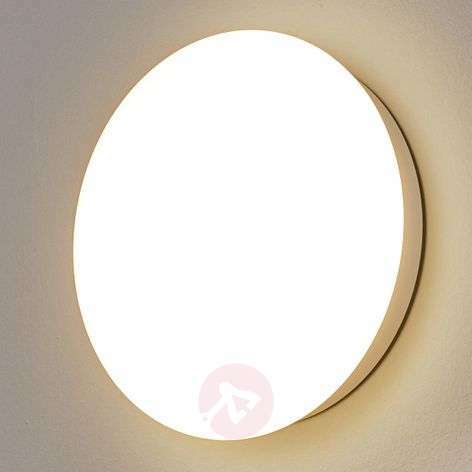 With a depth of 11.2 cm, it can also be put to use as a ceiling light. 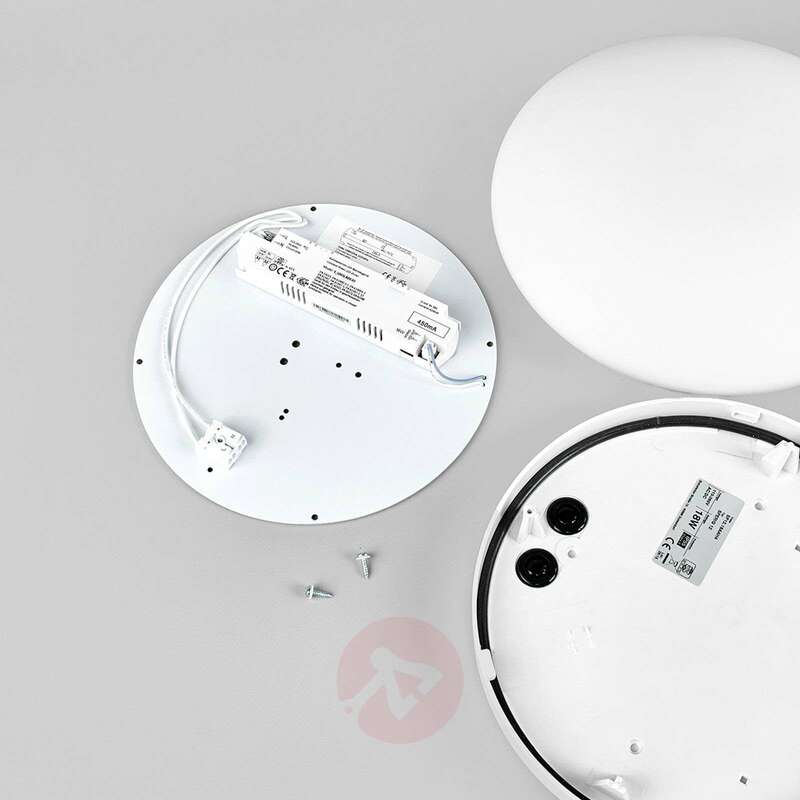 High-quality workmanship means that it complies with the standards of the IP code IP55. 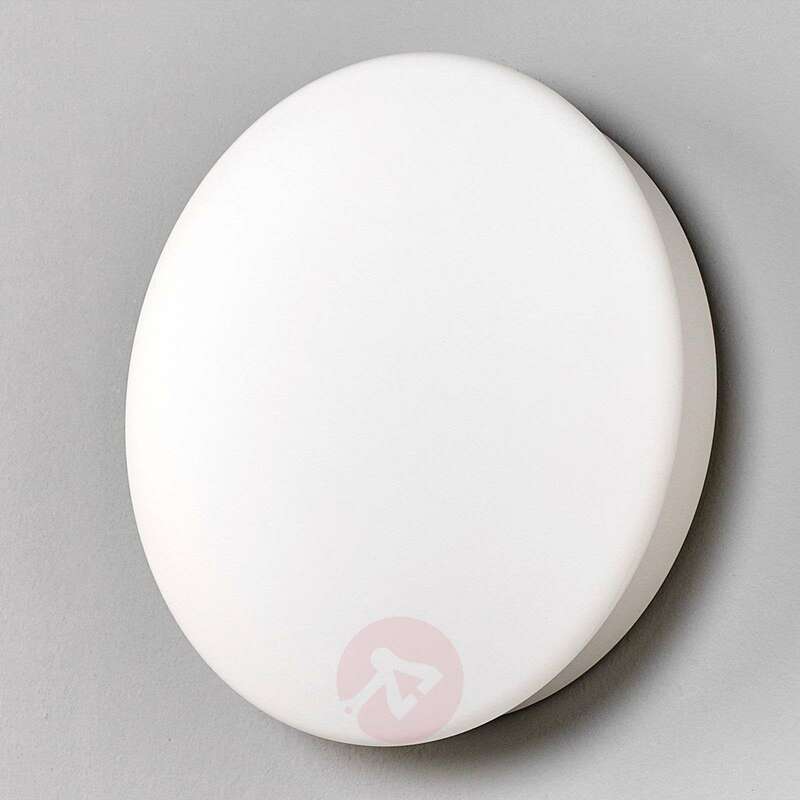 Classic risk factors such as water spray and dust have no effect on this light. This means that it is suitable for use as bathroom light. It is still economical and energy efficient to run this light, thanks to its LED technology. Easy to integrate due to the dual cable inlets, which are designed for wiring in series. As part of an ensemble, it can be put to use in various colours as corridor lighting or background lighting in dining rooms and so on. 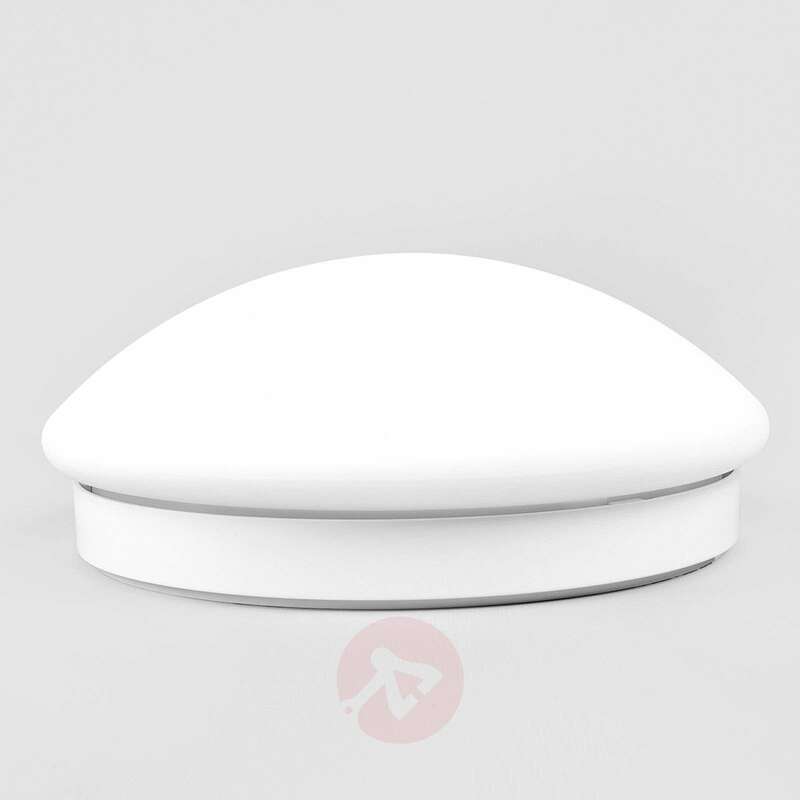 Its minimalistic yet decorative optics, made from satin-finished opal glass, lend that certain something to any space. A protective conductor is not required for the assembly. For this reason, it can be easily introduced as part of a renovation. The high durability and colour permanence of these LED lights is another indicator of their high quality.